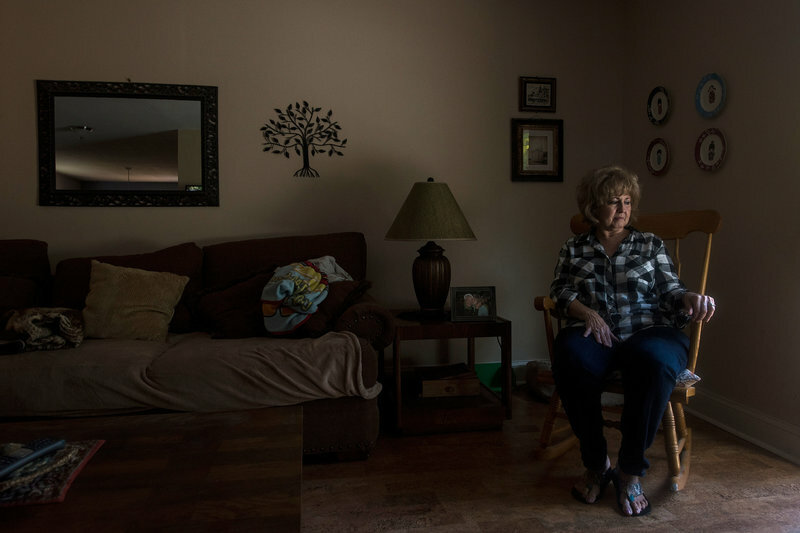 The NPR series detailed how Ellen Bethea, shown here at her home in Jacksonville, Fla., paid $7,000 for her husband’s cremation and funeral. She was unaware that the same company offered the same cremation services for much less. National Public Radio recently aired a two-part series on the U.S. funeral industry, finding that funeral homes often make things confusing for consumers by not listing prices for services online so people can shop around and compare prices. This is despite the federal Funeral Rule, enacted in the U.S. in 1984, requiring funeral homes and related businesses to give consumers an itemized price list when they talk to them in person, and give them clear price information over the phone. The series found a case where a person could pay thousands less just by crossing the street and paying for a cremation at another funeral home outlet. One of those interviewed for the NPR investigation was Ellen Bethea, whose husband Archie died in November 2015. The couple had been married for almost 50 years. Beathea, when asked by the hospital what funeral home she wanted to use, knew of only one in town: Hardage-Giddens Funeral Home of Jacksonville. She knew it had a good reputation because some of her family and friends had used it. After meeting with a funeral home staff member the next day, Bethea walked out with a bill of over $7,000, including $3,295 for Archie’s cremation. The NPR investigation found that the cremation price was more than twice the amount charged elsewhere in Jacksonville by the same company that owns Hardage-Giddens. “The cremations are done in the same place and in the same way,” NPR reported, noting the funeral home Bethea chose was owned by Service Corporation International (SCI), based in Houston. SCI claims 16 percent of the $19 billion North American death care market, which includes the U.S. and Canada. The company says it has 24,000 employees and is the largest owner of funeral homes and cemeteries in the world. “In a months-long investigation into pricing and marketing in the funeral business, also known as the death care industry, NPR spoke with funeral directors, consumers and regulators,” NPR said. “We collected price information from around the country and visited providers. We found a confusing, unhelpful system that seems designed to be impenetrable by average consumers, who must make costly decisions at a time of grief and financial stress. The first part of the NPR series in here and the second part is here. Ask for prices of the specific items you want to buy. The federal government requires that 16 standardized goods and services appear on every funeral home’s general price list. If a loved one is near death, start looking at options in advance, when you’re not under pressure to make a decision. Make calls to funeral homes or drop by and ask for a general price list. If planning your own funeral, put your wishes in writing and discuss them with your family. Ask for itemized price quotes from the funeral homes you visit. When visiting a funeral home, bring along someone trustworthy, who is not grieving. Don’t disclose financial information about your inheritance or the size of your loved one’s insurance policy until you have settled on how much you will pay. Know the boundaries of your relationship with a funeral director or salesperson. While they may be empathetic, their first responsibility is to their business’ success. Also, salespeople may be working on commission, so they may have an interest in your paying as much as possible. This entry was posted in Complaints about funeral homes and tagged You Could Pay Thousands Less For A Funeral Just By Crossing The Street: NPR series says. Bookmark the permalink.